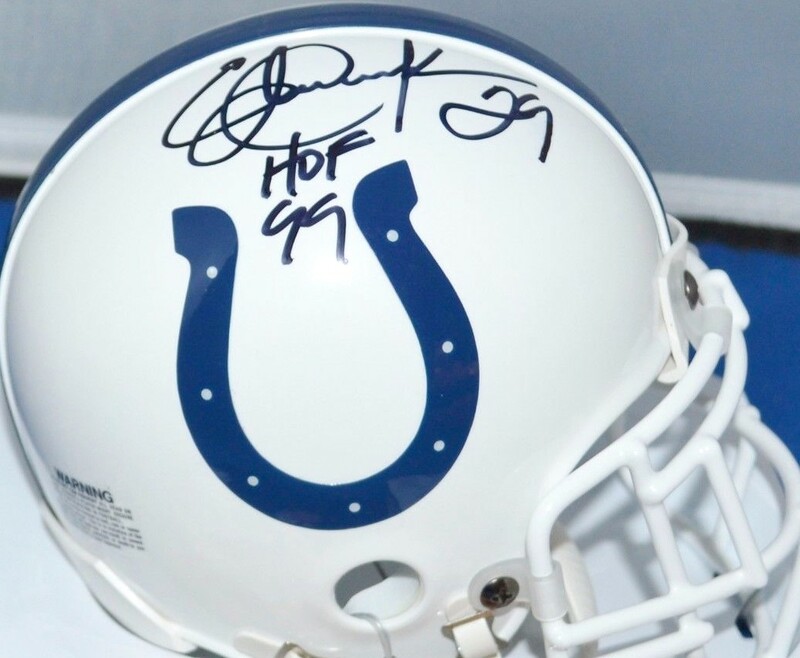 Indianapolis Colts Riddell mini helmet autographed by legendary Hall of Fame running back Eric Dickerson and inscribed HOF 99. Obtained in person at celebrity golf tournament, with certificate of authenticity from AutographsForSale.com. ONLY ONE AVAILABLE FOR SALE.